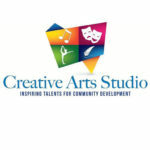 Creative Arts Studio is a collective of artists empowering our community through fine arts in education. By means of Music, Theater, Art and Dance they seek to inspire talents to ignite social change in our community with the ultimate objective of growth in human consciousness. Their curriculums are specifically developed for any community member who wants to grow through the arts. Creative Arts Studio has partnered and led diverse fine arts programs in education institutions such as: Idea Public Schools, Horizon Montessori, Hidalgo ISD, and Pharr Oratory of St Philip Pontifical Right. They are constantly participating at community events and their students are extremely encouraged to explore the performance aspect of learning an art discipline. This class is designed to improve each student’s singing voice and develop the ability to sing successfully in front of others. During this introductory course of study, they will be taught the fundamentals of healthy vocal production which includes the following: 1) proper posture and breathing to sing, 2) tone production, 3) diction, 4) expression, and 5) gaining confidence. Individual vocal problems will be assessed and exercises will be given to help strengthen and improve the voice. Students will be singing together and also individually for class. Guitar lessons for beginners focus on finger placement, strumming, sight-reading, understanding groove and chord placement. Students will learn to care for their instrument as well as tuning the guitar. In this introductory course, students will learn basic music theory as well as the fundamentals of Guitar Performance. This is a perfect Introductory course to Piano and Music for those who have little to no experience or need a review of the basics. You will learn the basics of how to read music, find notes on the piano and other essentials such as pitch matching, rhythm, movement and the appreciation of Music so you can begin playing pieces.